Since the independence of the Republic of the Sudan from the Great Britain in 1956, the southern region of the Sudan remained grossly neglected in terms of political and socio-economic development. This disparity in socio-economic development denied the southern region the opportunity to develop strong infrastructure capable of serving its populations both in urban centers and in the rural areas. This desperate situation was exacerbated by the South-North civil war that devastated the rudimentary infrastructure in Southern Sudan. When the Republic of South Sudan gained its independence in 2011, the nascent republic was confronted with an uphill task of providing services to 12 millions people with minimal infrastructure. Although the country has been receiving a substantial amount of petrodollars from its oil industry, the level of services provision to citizens has stagnated at the pre-independence period due to a number of factors, including smoldering conflicts. The persistent conflict has resulted in the death of several civilians and close to two (2) million more displaced persons. While a great number of people have sought refuge in the neighboring countries as refugees or in the UNMISS administered Protection of Civilians sites (PoCs) throughout the country, thousands more have fled to Juba where they managed to find shelter at the outskirts of the city. Before the conflict erupted in 2013, the population of Juba was estimated to be 80,000 according to the 2008 national census. After the crisis, this figure mushroomed to 325,000 as of 2015, and has been rising ever since as the conflict forces more people to abandon their homes, especially in the Greater EquatorialRegion (GER) and Greater Upper Nile Region (GUN). This influx of people is noticeably putting an unimaginable pressure on the water supply system in Juba. 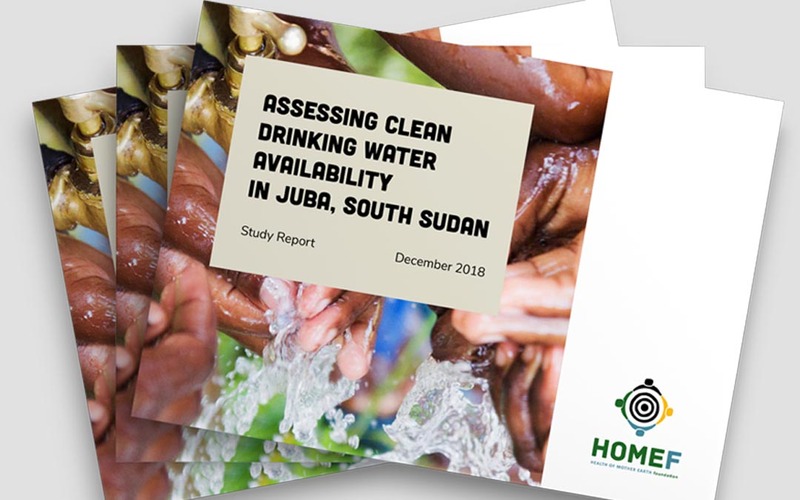 to use the findings of the assessment to inform intervention strategies to provide the residents with access to clean and affordable drinking water.